This past weekend the members of our family gathered in Cincinnati for some important life events. We celebrated many birthdays, the one of most importance being the 80th birthday of my mother-in-law, the person who has been on this earth the longest in our immediate family. 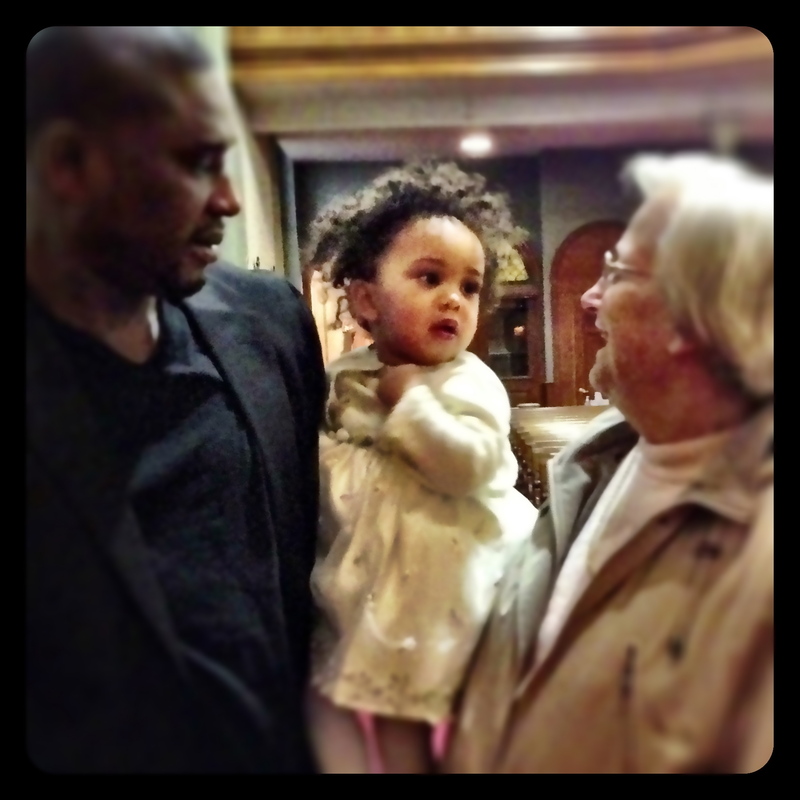 We also witnessed the baptism of my niece, who has the least experience among us. This is Kande, with Kadja, who is 1, and her grandma, Janis, who is 80. During Kadja’s baptism this thought ran through my head….that in very simple terms our faith allows us to learn from the past, make better people of ourselves in the present, and gives us hope for the future. During the events of this past weekend and during this Holy Week that is upon us, the past, the present, and the future merged in very wonderful ways.